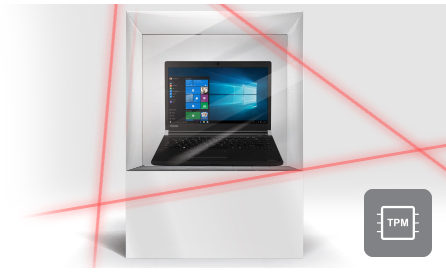 Toshiba Satellite Pro A30-C-10R 13.3" Business Laptop Core i3-6100U, 4GB, 500GB. The Satellite Pro A30-Cs compact form fits into any bag comfortably, so its ideal to carry from place to place. But thats not all that makes it perfect for learning and working on the move with its non-reflective HD display, you can work anywhere, even in bright sunlight. And with a battery life that will keep going all day, you're never interrupted by the need to find a socket and plug in. Designed to withstand the everyday bumps and strains of agile learning, the Satellite Pro A30 -Cs lightweight but robust magnesium chassis will never let you down. In fact, were so confident that weve given it our Reliability Guarantee. Its even been subjected to Highly Accelerated Life Testing (HALT) by TÜV Rheinland so you can share our confidence in your device. 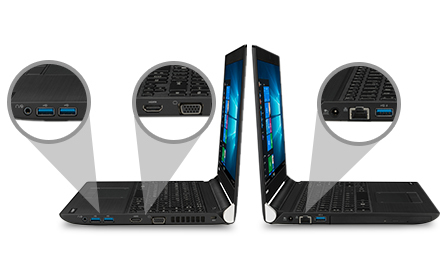 The Satellite Pro A30-C comes with a range of dongle-free connectivity options including HDMI and RGB for making presentations, three USB 3.0 ports for saving and sharing content at speed, and Intel® premium Wi-Fi performance so you can connect and collect learning materials hassle-free. The A30-C also features a full-size SD card slot, and the option of an optical disc drive, allowing you to store and show content any way you want. These features are complimented by a Full HD webcam and noise cancelling dual mics that make chatting via Skype easier than ever. 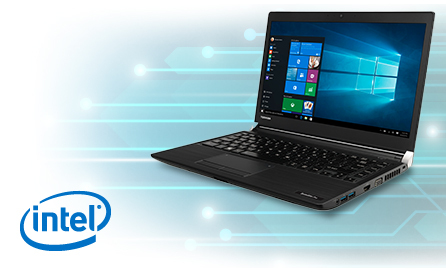 Although the Satellite Pro A30-C is super-mobile, it never compromises on performance. Thats because its built with leading-edge internal components like the latest Intel® Core processors, and an optional SSD for responsive browsing, boot-up and data sharing. With the A30-C, you can get things done as fast as you need to making it perfect for working between meetings, or getting your essay done as your deadline approaches. Whether its your dissertation or your businesss critical data, there are some things you dont want getting into the wrong hands. With the Satellite Pro A30-C, you can rest assured, thanks to its TPM (Trusted Platform Module), Smartcard capability, and pre-installed McAfee security solution. That way, youre protected from the first time you press the power button. 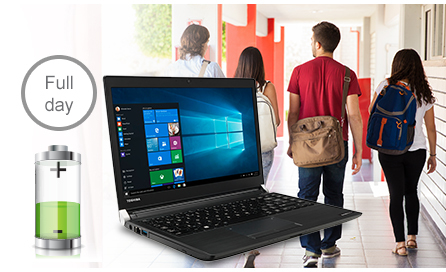 With the Satellite Pro A30-C, you have everything you need to learn and work wherever you are. Choose from a wide selection of accessories, including the Dynadock range which allows you to connect to your peripherals with ease internal storage options like HDDs and SSDs, and external storage like SD cards and USB pens. You can protect your laptop on the move too, with our stylish selection of bags and laptop sleeves. 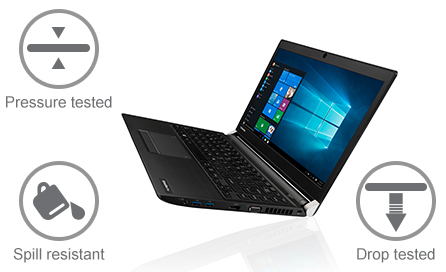 Take control of your environmental impact with Toshibas EPEAT Gold certified Satellite Pro A30-C, complete with built-in Eco Utility. Quickly and easily customise your computer settings to maximise power efficiency, minimise energy consumption, and reduce the impact your work has on the planet. 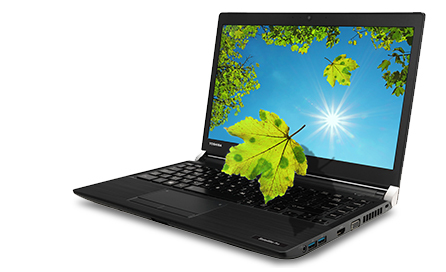 You can even take part in our Carbon Zero** programme, and offset the entire carbon footprint of your laptop.